Across six predefined risk groups, assessment of cumulative mortality showed a steep gradient in 30-day mortality. 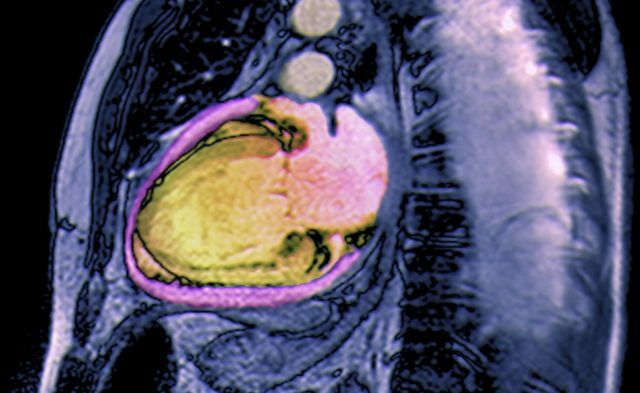 HealthDay News — The Multiple Estimation of risk based on the Emergency department Spanish Score In patients with Acute Heart Failure (MEESSI-AHF) can accurately predict 30-day mortality in patients with AHF, according to a study published online Jan. 29 in the Annals of Internal Medicine. Desiree Wussler, M.D., from the University Hospital Basel in Switzerland, and colleagues conducted a prospective cohort study to externally validate the MEESSI-AHF score in 1,572 patients with AHF in a country other than Spain. Of the patients with adjudicated AHF, 1,247 had complete data that allowed calculation of the MEESSI-AHF score. The researchers found that 8.2 percent of the patients with complete data died within 30 days. Thirty-day mortality was predicted by the score with excellent discrimination (c-statistic, 0.80). Across six predefined risk groups, assessment of cumulative mortality showed a steep gradient in 30-day mortality (from zero patients in the lowest-risk group to 35 [28.5 percent] in the highest-risk group). In the high-risk groups, risk was overestimated, resulting in a Hosmer-Lemeshow P value of 0.022. The model showed good concordance between predicted risks and observed outcomes after adjustment of the intercept (P = 0.23). The findings were confirmed in sensitivity analyses.